What’s 115 years old and North America’s largest citizen science project? 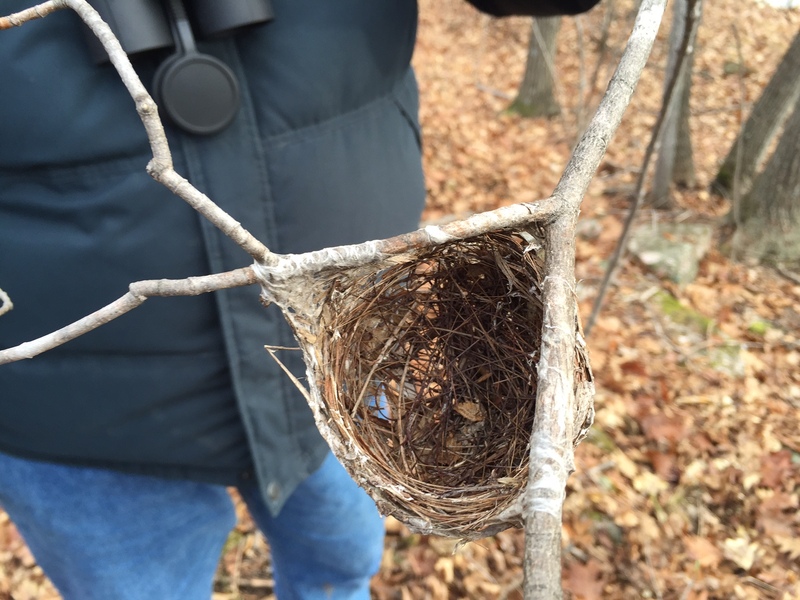 If you guessed the Christmas bird count, you’d be right. Yesterday we spent the morning at Elbow Lake Environmental Education Centre north of Kingston. They were holding a special Christmas Bird Count for kids. I’ve always been interested in the Christmas Bird Count and was excited to find out more and participate in this important initiative. The CBC as it’s called started in 1900 and happens between December 14 and January 5. Local groups choose a single day during that period and conduct the count—counts are carried out within a 24-km radius. 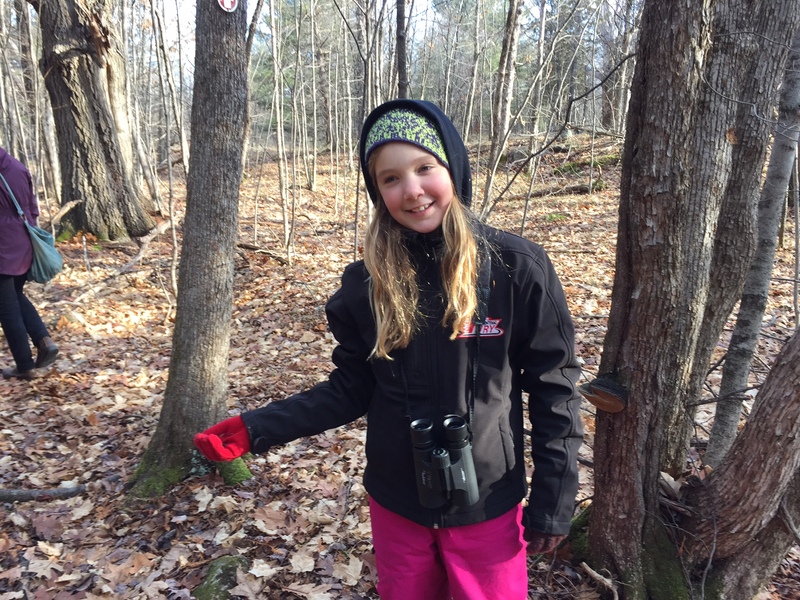 We took the red trail and saw 17 perch birds (songbirds like chickadees, junkos, nuthatches), 4 other bird species and 20 water fowl (ducks). The night before I watched Bear Grylls—his guest celebrity this week was Barack Obama and they talked on their trek in Alaska about the effects of climate change. To see 20 waterfowl at this time of year is highly unusual. It’s been so warm, all the lakes are still open, causing migration cycles to alter. I have to admit, even though we love the outdoors, birds and nature, I’ve always thought of birdwatching being as exciting as watching paint dry and we thought the kids might be bored. We were wrong. They loved it and felt they were making a difference when we explained the research we logged after would help scientists understand migratory patterns and the effects of climate warming. This week’s #HappyAct is to take part in one of the local bird counts near you. What better way to celebrate the holiday season and work off that turkey than getting outside and seeing if you can spy a wild turkey of your own? 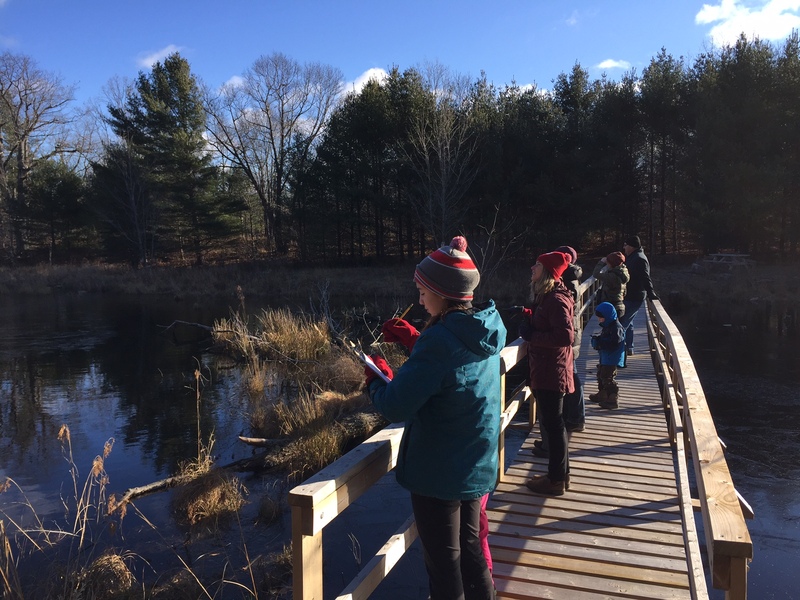 To find out more about the Christmas Bird Count, visit http://www.birdscanada.com or if you live in the Kingston region, contact the coordinators for our area Carolyn Bonta or Michael Johnson at 613-353-7968 or bonta.johnson@sympatico.ca. Happy holidays everyone!